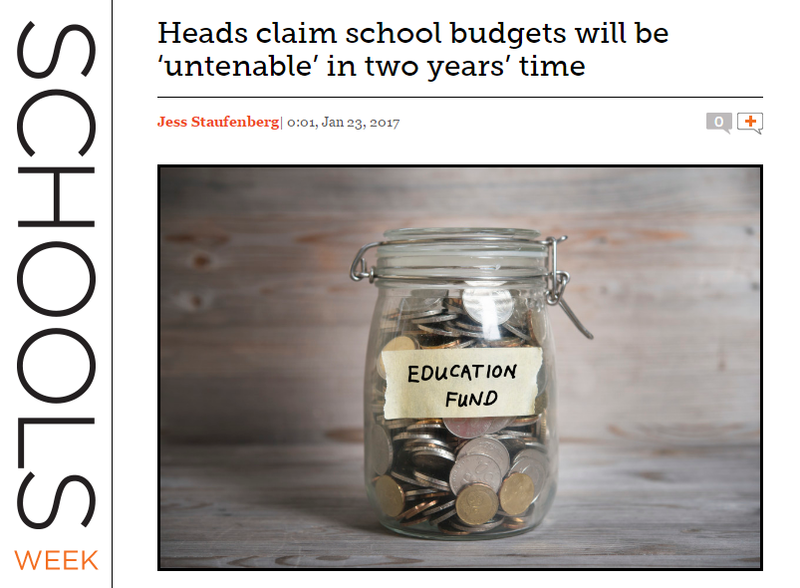 In planning for this week’s Headteachers’ Roundtable Summit I’m aware that funding is going to be a red hot topic. A combination of anger and despair might well sum up many school leaders, governors and teachers’ feelings at the moment. I wonder whether Jonathan Slater, the Permanent Secretary’s at the Department for Education, following his appearance at the Education Select Committee last week, is in a room thinking, “Do-able!, Do-able! What was I thinking?” The fact that something is do-able doesn’t necessarily make it desirable nor necessarily wise. The National Audit Office’s view that £3 billion of cuts need to be found over the next few years makes for sober reading. School funding hasn’t been this bad for two decades and is heading towards rock bottom. The discussion is rapidly moving from fairer funding to sufficient funding. At times like this every penny counts; pounds matter more and hundreds of millions of pounds are a godsend in such austere times. 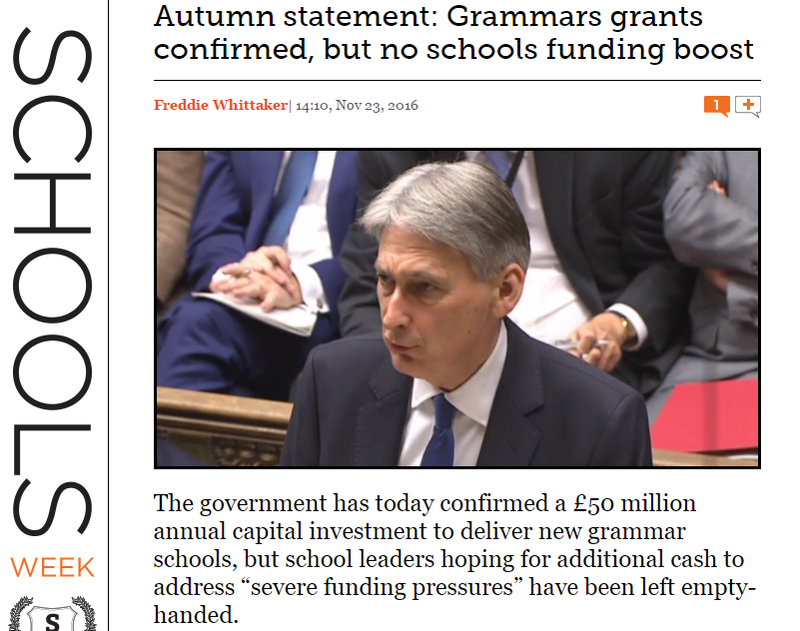 Spending money on items that don’t improve the education system or pupils’ life chances is a luxury we can’t afford. So, here’s a starter for ten; refocusing spending on schools’ core business, investing money in our staff and pupils rather than political preferences or fancies. 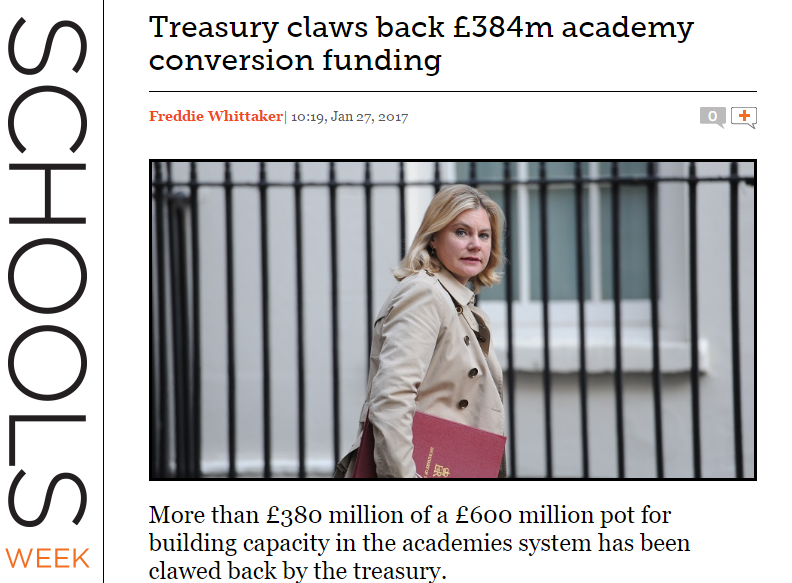 This funding was linked to all schools becoming academies; its use just needs to be diverted towards core budgets. The £384 million would reduce the cuts required by over 10%. Whilst the £200 million is for capital purposes over four years that brings the total unnecessary spend to £584 million or just under 20% of the cuts schools will be required to take. 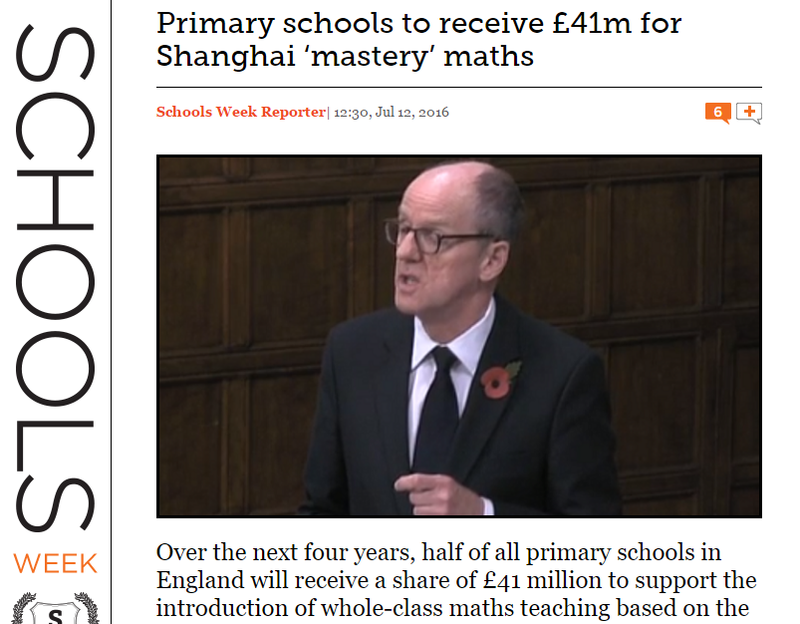 Half of primary schools is a lot of schools but the real partial investment issue is the lack of time these teachers will have to make “Shanghai Maths” work. Teaching half a timetable with a massive amount of time for preparation, professional development and working with pupils who need significant intervention, to reach the required standard, is very different from a 90% timetable. There are many other factors at play in Shanghai; it’s likely the impact in England will be minimal. The picture of the poor individual in pain; desperately in need of urgent medical care, having spent hours on a trolley in Accident and Emergency, brings an urgency and critical edge to the call for more funds for the NHS. The same is not true of a picture of a small child without her required member of support staff or a Sixth Former stood without textbooks in arms. The long term damage done by education cuts may not be seen in the immediate moment but will be seen in the years ahead. A lack of equity and a less equitable society through a thousand small cuts is the potential prognosis. Maybe Jonathan Slater is right; this is doable. We just need to put the funds we have into schools’ core budgets. Austere times are not the moment for personal preferences of flights of fancy to be pursued. Certainly not if they are costing hundreds of millions of much needed funds. With an additional £625 million already in the pot we could turn our focus on the costs of setting up free schools, redundancy payment savings, Troops to Teachers, the National Teaching Service … the list could go on. There are savings to be had but in the end it is about a commitment to funding education at the required level. The money is there but will it be matched by the commitment? It’s £3 billion question.